880 C.E. – The Norse Great Heathen Army defeats King Louis III is defeated by the Norse Great at the Battle of Lüneburg Heath. 962 C.E. – Otto I is crowned Holy Roman Emperor. 1848 C.E. – The Treaty of Guadalupe Hidalgo is signed during the Mexican–American War. 1901 C.E. – Queen Victoria‘s funeral. 1922 C.E. 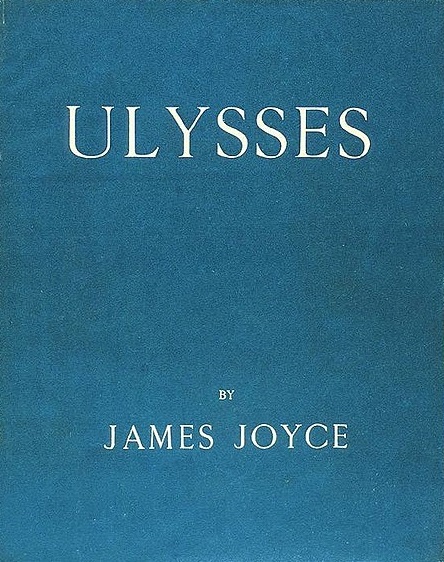 – The classic novel Ulysses by author James Joyce is published in Paris. 1943 C.E. – The end of the Battle of Stalingrad during WWII. 1327 C.E. – Edward III is officially crowned King of England. 1662 C.E. – Koxinga seizes the island of Taiwan for China after a long siege. 1835 C.E. – Slavery is abolished in the island nation of Mauritius. 1861 C.E. – Texas officially secedes from the United States during the American Civil War. 1865 C.E. – Abraham Lincoln signs the Thirteenth Amendment. 1918 C.E. – Russia adopts the Gregorian calendar. 1924 C.E. – The U.K. officially recognizes the Union of Soviet Socialist Republics (USSR). 1964 C.E. – The Beatles have their first #1 hit, “I Want to Hold Your Hand”. 1606 C.E. – Guy Fawkes is executed in the Gunpowder Plot. 1865 C.E. – The Thirteenth Amendment to the United States Constitution to abolsish slavery is submitted. 1929 C.E. – Leon Trotsky is exiled by The Soviet Union. 1948 C.E. – Scotch Tape begins being marketed by the company 3M. Cool. 1649 C.E. – King Charles I is executed for treason. 1933 C.E. – Hitler officially becomes Chancellor of Germany. 1948 C.E. – Gandhi is murdered by a Hindu extremist. 1969 C.E. – The Beatles’ final public performance. 757 C.E. – An Lushan, who led a rebellion against the Tang dynasty, is murdered. 1834 C.E. – Andrew Jackson orders federal soldiers to interfere in a labor dispute for the first time in U.S. history. 1861 C.E. – Kansas officially becomes the 34th state in the United States. 1886 C.E. – The first successful gas automobile is patented by Karl Benz. 814 C.E. – Charlemagne dies! Charlemagne, the first Holy Roman Emperor and King of the Franks. United much of Medieval Europe. 1521 C.E. – Diet of Worms begins. Not what it sounds like. An assembly of the Holy Roman Empire. They addressed Martin Luther and the Protestant Reformation. 1813 C.E. – Pride and Prejudice by Jane Austin first published in the United Kingdom. 1915 C.E. – Congress creates the United States Coast Guard. 1956 C.E. – Elvis Presley appears on national television for the first time. Thank you, thank you very much.